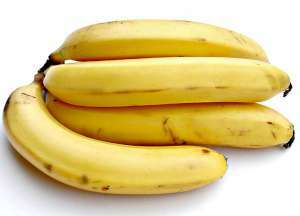 Welcome to banana recipes page. Banana is a nutritious, health giving, popular, widely consumed fruit all over the world. Banana is known as kela(Hindi), Kele(Marathi), Val palam/ Vazhaipazham(Tamil), Yethampazham (Malayalam), arati (Telugu) etc in Indian languages. Not just the raw and ripe banana fruit, but each and every part of a banana tree is used in cooking, mainly in the southern states of India. The banana flower, banana stem, raw bananas, ripe bananas are made into various kinds of dishes. Banana leaves are used to wrap and cook food in it. In India, in the South Indian states, food is served on wide banana leaves, especially during celebrations and feasts. Bananas cut into slices, cubes, sticks. Ripe bananas are mashed and used. Banana is a very versatile fruit.